Model Meals is the no subscription required, 100% Whole30/Paleo approved, ready-to-eat, meal prep service you’ve been searching for. Using organic and locally sourced ingredients prepared by professional chefs packaged and delivered right to your door in sustainable, eco-friendly packaging. 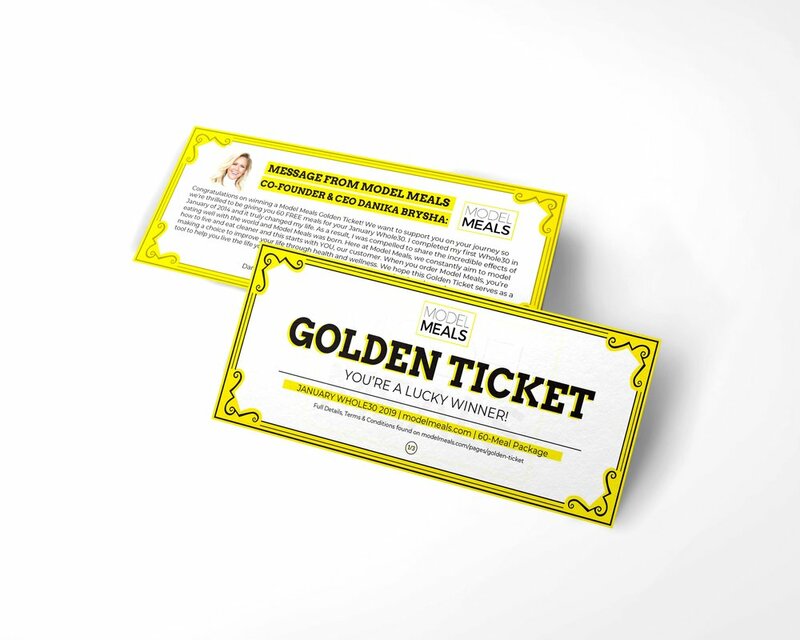 This campaign was to create incentive to purchasing more deliveries in order for the chance to win one of three golden tickets for a free one month of Model Meals for their January Whole30 package.